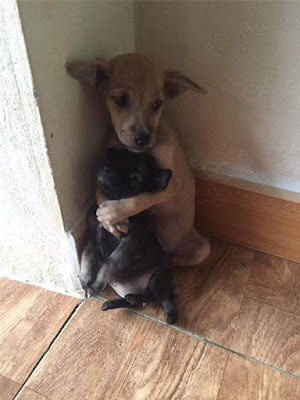 A couple of strays were found in the streets of Ho Chi Minh City, Vietnam, where all they could do was hug each other. Lost and confused, they had no where else to turn. 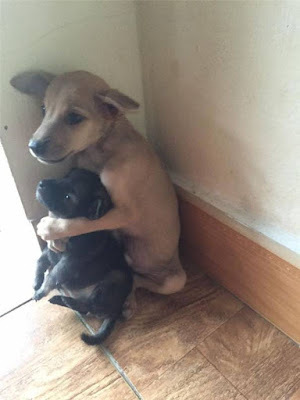 The sweet pictures of the pups holding each other have taken the internet by storm. 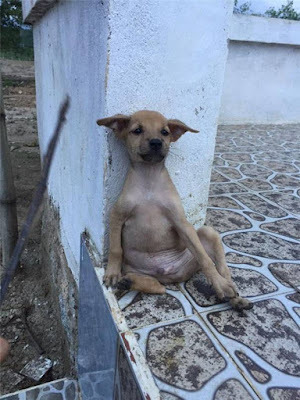 The two strays were found wandering the streets of Ho Chi Minh City, Vietnam. 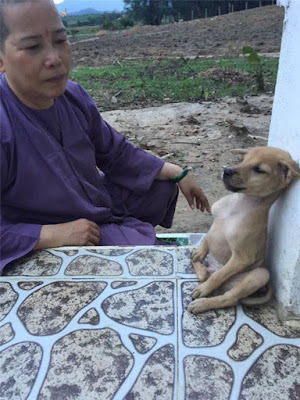 The scared and confused puppies were ignored until Buddhist nuns took them into their temple. 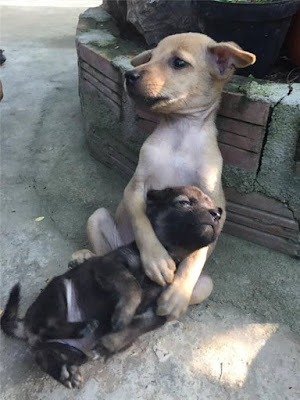 The bigger dog protected his little buddy by holding her closely. We can only imagine the things they saw and experienced in their short lives up until this point. 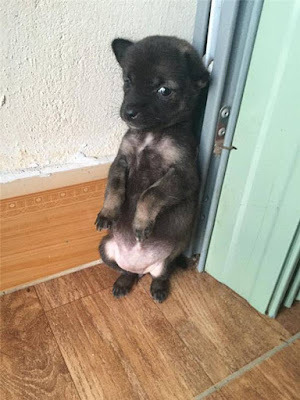 With each passing day, the sweet pups are gaining confidence in their new environment. Knowing they’re in safe hands has made all the difference. It’s because they now have someone else to hug and protect them. Who knows what the sweet pups had to go through in life, but they’re living completely different lives now thanks to their rescuers!